There are two differentiating factors that set humans apart from other animals; our highly developed brains, and our hands. With our hands, we are able grasp, and manipulate objects, allowing us to write, play an instrument, type on a keyboard and perform countless other tasks. Our hands also contain a significant number of nerve endings which give us the sense of touch. Because our hands are in constant motion, reaching, grasping, carrying and releasing, they can be exposed to a number of dangers and mishaps that may require hand or wrist surgery. We also can use our hands to protect ourselves by shielding potentially dangerous objects, and even breaking falls. 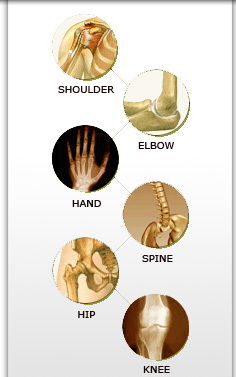 Due to this protective mechanism, the bones of the hand and wrist are fractured quite often. In addition to these dangers the hands are susceptible to cuts, abrasions and burns that can result in damaged tendons, nerves, or even lead to infection. We use our hands and wrists a lot. 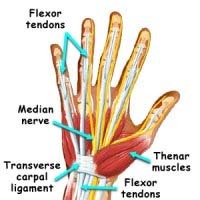 Therefore, they are also often susceptible to overuse injuries, such as tendonitis and carpal tunnel syndrome. Problems can also occur in the muscles and joints and hands can also be affected by normal wear and tear on the joints resulting in arthritis. Sometimes hand or wrist surgery is needed from other medical conditions such as diabetes or pregnancy.